In the late eighties, I drank cheap Cruzan rum as if there was no tomorrow and it was still way better than Bacardi. One of my ex-girlfriends even accused me of drinking "two thousand bottles of Cruzan rum" which was a gross exaggeration. Guess what? I kept drinking the rum! A few years ago, I happened upon a bottle of this at a music festival and tried a sample. I was quite impressed at what Cruzan could do, but had yet to enter the world of the finest rums. So this one wound up on my wish list and I recently found a bottle on the bottom shelf of my favorite specialty liquor store. A major HINT on the lowest shelf!!!! It smells and tastes like alcohol with no added sweetness, but leaves a bitter taste at the back of my throat. Sipping neat was passable and adding an ice cube did nothing to open up the flavors. At $24, this one is also a bit expensive to use as a mixer, since Mount Gay Eclipse is a much better and cheaper gold mixer. 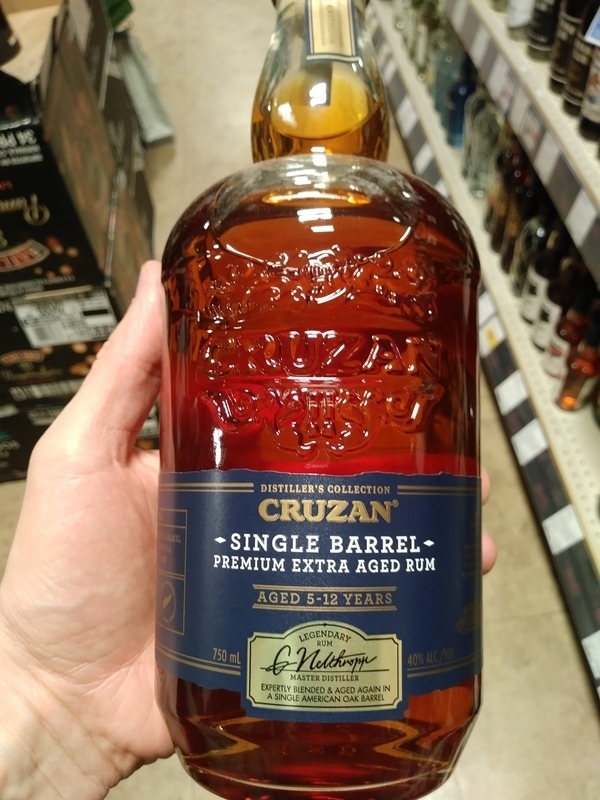 Update Feb 17, 2018: When browsing another liquor store for a rum that they did not have, I came across two different shaped bottles for this Cruzan Single Barrel. There was one new bottle in the shape of the Estate Diamond Dark 5 Year placed in front of the old round bottles. My old round bottle rated as a 5 due to harsh after taste. I eagerly bought the bottle with the newer shape for only $25. When I got home, I compared side by side with my Diamond Estate Dark 5 Year. This single barrel is orange in color and the other one is amber. This newer version has a wonderful after taste that out does it's faint aroma and taste. Is it worth the extra $5 over the Estate Diamond Dark 5 Year? Yes, but either one will serve the purpose as a very inexpensive sipper that will never rate higher than a 7. As with any single barrel spirit, it is all in the luck of the draw. And as bad as this sounds, this is the best that Cruzan has to offer. If this is Rum you could have fooled me. It’s nose smells like an emergency room and the mouth was very woodsy. I thought I was drinking cologne laced with wood. I personally would not recommend this Rum as it tastes more like whiskey. The bottle is awesome as is any bottle with a cork. Very smooth, glad I got to try it. I would have it again. We thought this was a fantastic choice for the price ($17). 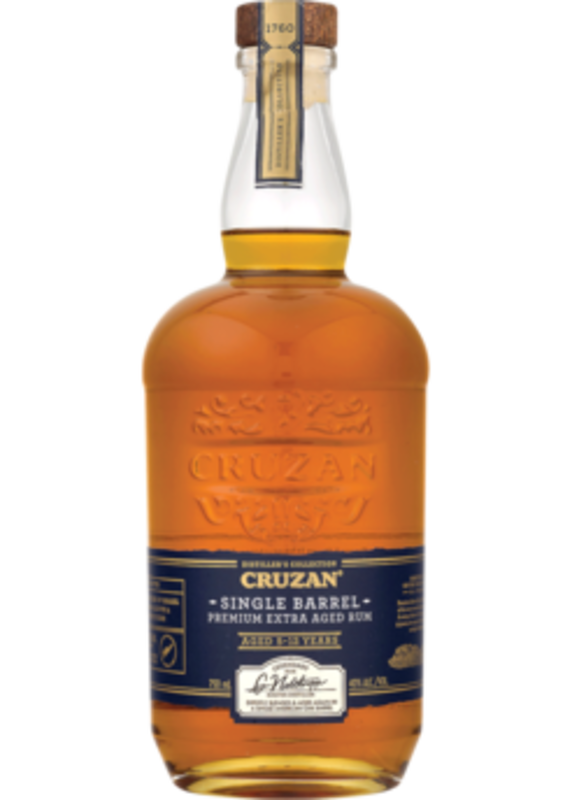 Like most Cruzan rums this has even flavor with a buttery finish. Overall mild taste with a light burn on the end. Enjoyed this on the rocks. A handcrafted blend of multiple rums aged up to 12 years with secondary aging in single oak casks. Medium-bodied taste with brandy-like characteristics. A good nose if left to breathe for a while, taste is earthy and woody with little burn and a very good aftertaste. 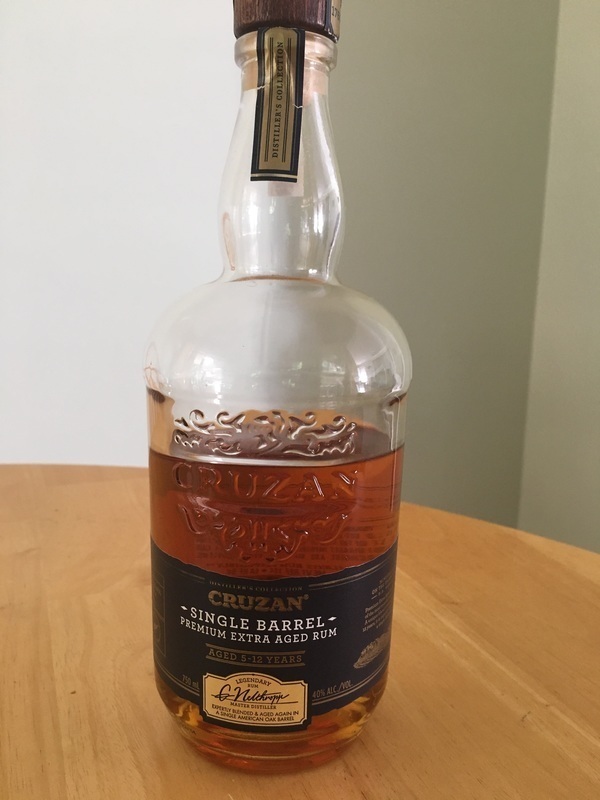 Cruzan Single Barrel is one of those rum bottles where the tourists coming to the Caribbean for the first time can be easily fooled to think this is quality aged rum. It's anything but quality. Strong alcohol smell and taste and a harsh burn at the end to finish your 'aged rum' tasting experience. A very versatile rum that is easy to share. Can be used with making more traditional cocktails or served on the rocks. A great starting rum for those interested in higher end aged rums. This is a drinkable rum. I like my rum neat but with this on it went the way of the rum n coke. Ok sipping rum, probably better mixed (haven't tried), easy on the wallet. I'd put it in front of better rums when company's coming over. This is a medium body rum with a slight alcohol bite but far from harsh, was given a bottle last year and have been buying it ever since. For anyone newer to rums this is worth it's price $43 cdn. I think this is the best value in our stores today. Okay to mix but why waste it with pop, enjoy straight or on the rocks. This rum is a simple blend of aged rums with a pretty harsh burn. This rum was crafted to be mixed, or I believe that it was crafted to be mixed. Their isn't a lot of flavors to pick up on. I would say I can taste a bit of sweet surges. Their are bottles at the same price point that are 100 times better on the exact same price point such as Captain Morgan Private Stock. Love this. Used primarily in Tiki drinks though I hear its a good sipper as well. A great rum for a great value. For me, this is a premium mixing rum, not a sipper. In my opinion, the best of the Cruzan line. A good choice, it's strong, dry and full body. Too sharp for me.